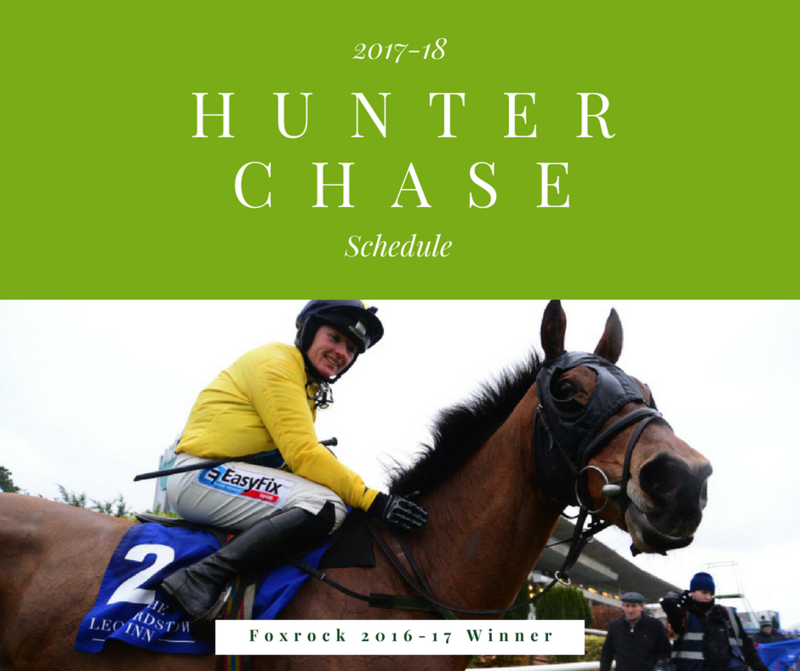 A total of three hunter chases were programmed for the pre-Christmas season, beginning at Cork in November which went the way of the Cathy Hamilton-trained Carrignagapple. 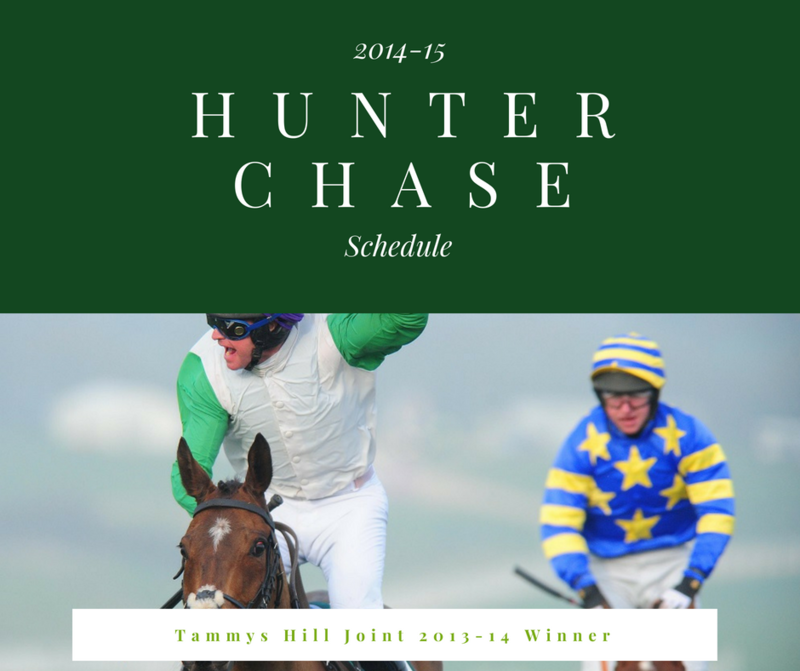 The rest of the autumn hunter chase programme had a very traditional feel, with further races at Down Royal and Limerick over Christmas. In all, 14 races have been scheduled for the first part of 2019 up to an including the Punchestown Festival in early May. The one notable change has been to the former Raymond Smith Memorial, a race whose demotion from the Dublin Racing Festival card upset many. Having been run at the right-handed Punchestown in 2018 for its first year away from the Dublin course, the race will return to a left-handed track for 2019 when it moves to Navan - its third home within the space of three years. It will be run on Sunday 17th February, on the Boyne Hurdle card. The 2017/18 season will be remembered for the loss of the Raymond Smith Hunter Chase, which was demoted from Leopardstown’s Irish Gold Cup card, following the creation of the Dublin Racing Festival at the Dublin course. The move to the right-handed Punchestown a week later, ensured that the big Cheltenham Foxhunters Trial lost some of its appeal for trainers, and emphasised the lack of left-handed opportunities within the hunter chase division. 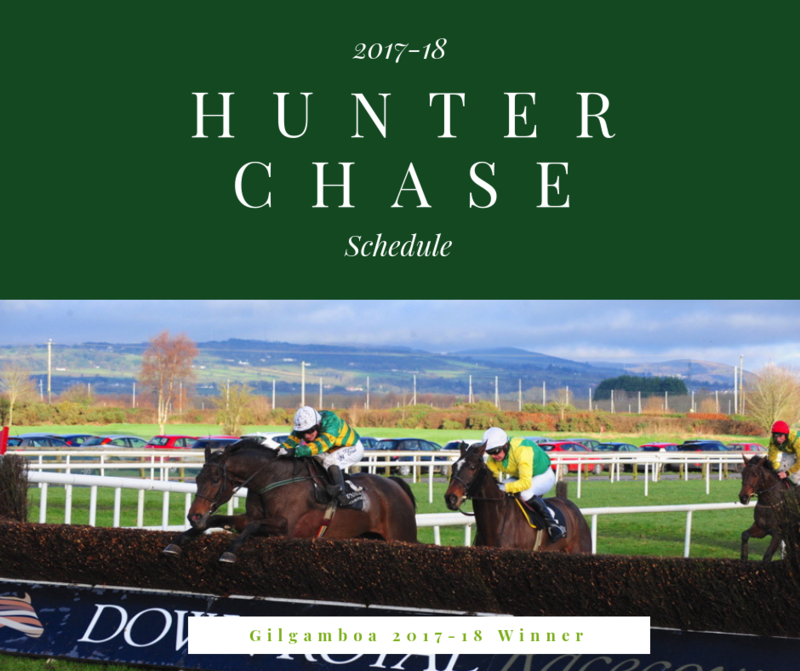 The race would see the clash of the rising star within the division, Burning Ambition, and the proven track recruit, Gilgamboa, who had won the two hunter chases over Christmas. Victory would go to Enda Bolger’s charge earning him the Champion Hunter Chaser crown, however it would be his last run of the season. Burning Ambition failed to fire at Cheltenham, where it was a second successive victory for Pacha Du Polder, whilst at Aintree there were emotional scenes, as the late Peggy Hagan’s Balnaslow came home in front for Derek O’Connor and Graham McKeever. 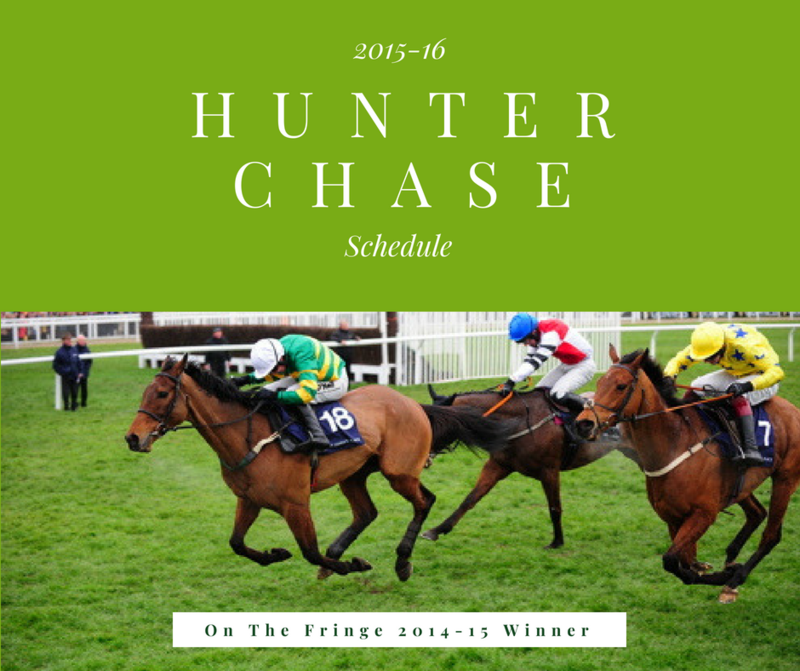 The three-year winning streak of On The Fringe was brought to a halt in 2017, with the arrival on the Hunter Chase scene of Foxrock. Ted Walsh’s stable star was a former high-class chaser as a Grade 2 winner who had got within a length of Grade 1 success in the 2015 Hennessy at Leopardstown. Following a low-key pointing introduction in a novice riders open at Borris House when defeated by Balnaslow, he did not look back winning four races on the bounce. Beginning at Down Royal over Christmas, Katie Walsh guided the Alan Fleming-owned gelding to win at Thurles in January, before adding the Raymond Smith at Leopardstown and Tetretema at Gowran Park his season haul. Ruled out of the big English Festivals because of their eligibility rules, their spring prizes remained at home, as Pacha Du Polder won the first of his two Cheltenham Foxhunters crowns, whilst Dineur ensured Mickey Bowen was the latest of his siblings to enjoy big race success. For the third consecutive year, it was On The Fringe who claimed the champion hunter chaser prize, following what was another record-breaking campaign. Enda Bolger’s star Hunter Chaser narrowly denied Colin McBratney’s Marito in the Cheltenham Foxhunters, whilst in the Aintree equivalent with Jamie Codd deputising for his suspended regular partner Nina Carberry, the Exit To Knowhere gelding proved to be eight lengths too good for Dineur. Back on home turf, the JP McManus-owned gelding picked up a fifth Punchestown Champion Hunter Chase, a race he had first won as a five-year-old. Of the other domestic hunter chases, the 2016 Raymond Smith was overshadowed by the fatal injury suffered by David Christie’s You Must Know Me, moments after he had crossed the line to claim victory under Barry O’Neill. 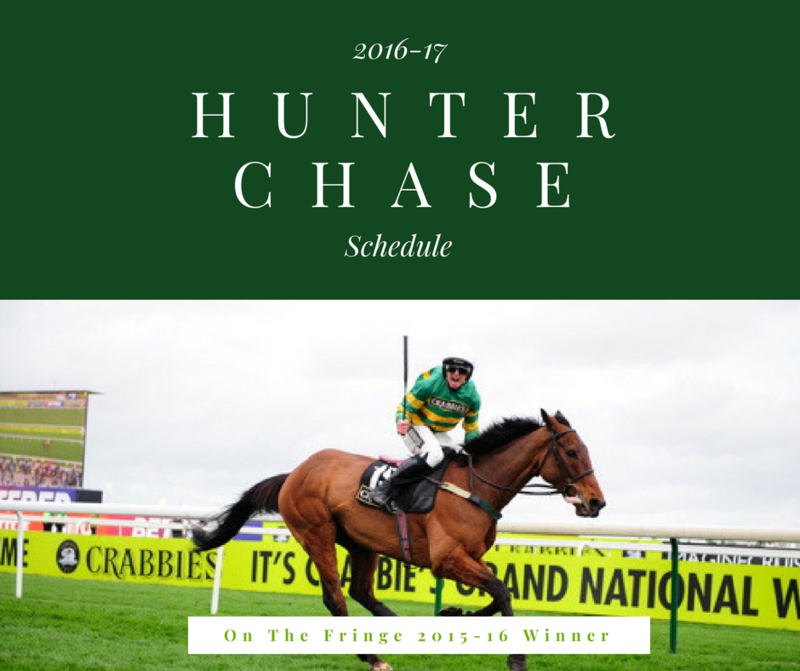 In a season which saw him claim the triple crown of hunter chases, it was no surprise to see On The Fringe crowned champion hunter chaser. The dominant force in the division throughout the 2014-2015 campaign, he had a slow start to the season when suffering defeats at the hands of Gordon Elliott’s Oscar Barton at Down Royal over Christmas and Willie Mullins’ Prince De Beauchene in the Raymond Smith Memorial at Leopardstown. Neither of his two conquerors made it to Cheltenham with Oscar Barton suffering a career-ending injury, whilst Prince De Beauchene was ineligible, and at Prestpury Park, On The Fringe put in one of his best displays to prevail by 17 lengths. Pacha Du Polder and Noble Prince managed to get closer to him at Aintree and Punchestown respectively, however neither could deny him a historic first triple crown of the top spring hunter chases at the big festivals.